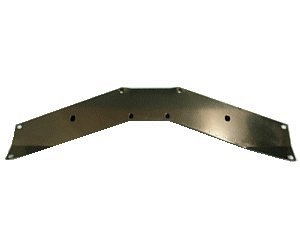 Replace your worn, cracked, or missing bracket with this factory correct C3 Corvette 1968-1972 Front Crossmember. This Front Crossmember offers "V" shaped support and mounts between the front frame horns and supports the front bumper assembly, radiator support and front fiberglass support. Restore your Corvette with ease knowing Corvette Mods has got you covered.